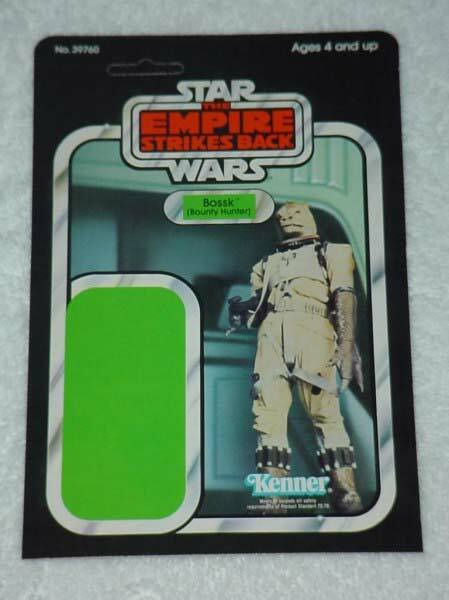 Featured here is an ESB 31-back proof card for Bossk, the bounty hunter. 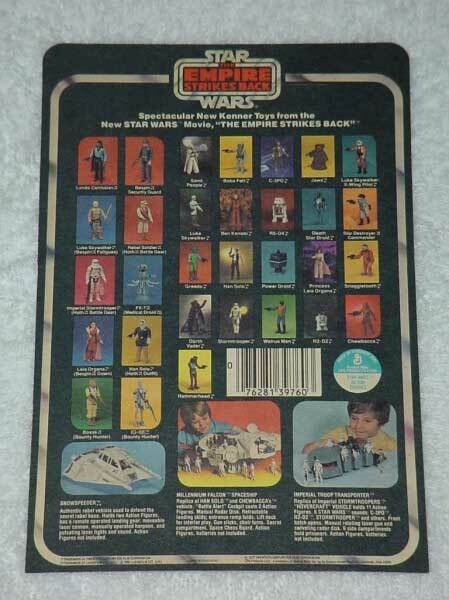 More specifically it is denoted as a "31A" version as designated by the cardback classification system found here on the Archive. Proof card collecting represents one popular segment in the pre-production collecting niche. The packaging design found on vintage blister cards is second to none and proof cards offer an unobstructed view of the entire card front. Above you see a rear image of the proof card. The square bottom corners and offset punch are two characteristics found on proof cards. Collectors interested in proof cards and/or Bossk pre-production material will also want to view the fantastic proof card series found here that Billy has assembled.